Barnard 344 is a dark nebula in the constellation of Cygnus. It’s located close to the star Sadr in the Gamma Cygni Nebula (RA: 20h18m57.4s DEC: +40º 40′ 01″). Barnard 344 is located on the bottom of the image. 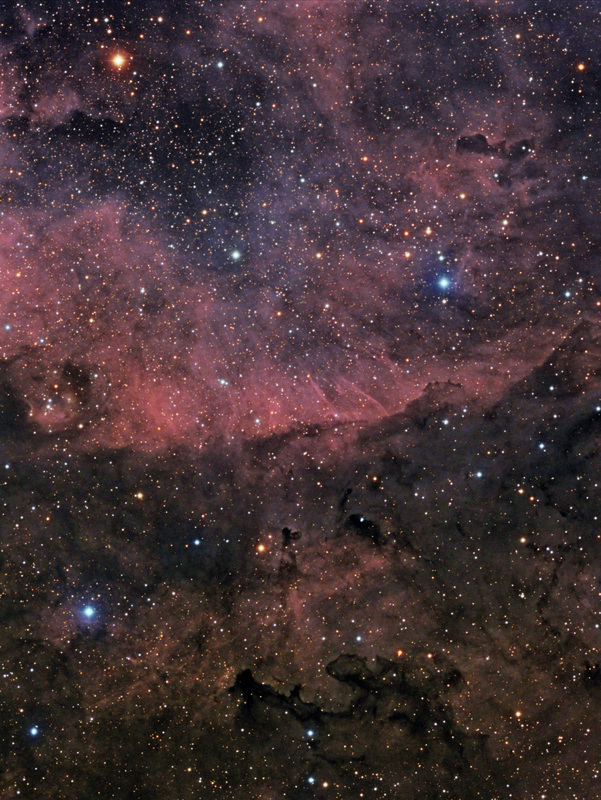 This region is very rich of dark and emission nebulae. On the image also VanDenBergh 130, a reflection nebula in this region, can be seen. LBN234 is an emission nebula glowing with hydrogen and sulphur. Barnard 344 was described by Barnard himself as: “Dusky spot, 7′ long; like an arrowhead, pointed SW; small star at NE end”. This image is a combination of narrowband imagery with RGB images taken during a number of nights in July 2013.